(New York: A. Simpson & Co., 1867). African American genealogy often becomes more difficult for the researcher when using records before the 1870 federal census. The task of checking church records and deeds of sale for persons whose last names may have changed several times prior to the Emancipation Proclamation in January 1863 and again upon the conclusion of the Civil War takes a great deal of time, even with the growing body of published sources available. Unfortunately, pre-Civil War Cabarrus County sources for researchers of African American genealogy are few. However, there are several pages from the records of St. John's Lutheran Church which list fifteen black members of the congregation in 1858 and 1859. These pages provided the communicants' names, owners' names, and the dates of baptism and/or confirmation into the church. The records were probably written by Gotthard Dellman Bernheim, who was the pastor of the congregation from 1858 to 1861. These pages have been transcribed with Rev. Bernheim's original spelling and punctuation left intact. The designation "do," which appears in the list of communicants, is the abbreviation for "ditto," indicating the information is already given in the preceding entry. Emeline Adaline do. do. do. March 28th, 1858: The following colored persons were baptized & confirmed 1 William, servant of John J. Baringer; 2 Sylva & 3 Mary Jane, servants of Danl Miller; 4 Caleb Augustus, servant of David Barrier; 5 Andrew Jackson Reid, a free boy. Also were the following baptized, colored persons confirmed; 6 Sarah, servant of David Barrier; 7 Elijah, servant of John Faggart; 8 Levi, ser of Mrs. Mary Kimball; 9 Jane & 10 Mary, servants of C. Melchor. Total 10 persons. April 24th, 1859: The following colored members were confirmed, 1. William Franklin, 2. Emeline Adaline, servants of Mr. David Barrier; & 3 Harriet Caroline, servant of Mrs. Margaret Kimball, Total 3 persons. This information comes from a microfilm copy of the records of St. John's Evangelical Lutheran Church given by Sarah E. Walker. Margaret Mitchell Barrier, date unknown. One of Mount Pleasant's most intriguing stories involves Margaret Mitchell Barrier (26 Aug 1812 - 1 Apr 1896). Matthias Barrier (12 May 1803 - 6 May 1873), a blacksmith and farmer, was a great supporter of Western Carolina Male Academy, so he resolved to leave his farm outside of town and build a home next to the school. Margaret, who was the second wife of Matthias, would have three sons by him. 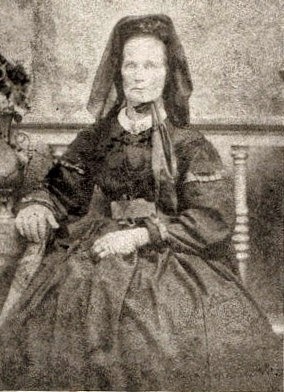 They were a prominent family with a comfortable life until the outbreak of the Civil War. Deemed too old to fight, Matthias remained at home as part of the Home Guard. The older sons, Rufus and William, enlisted in Co. H which had organized at the college. Margaret was left at home with her daughter, Annie, and her young son Victor. Family lore states that as Union forces were pushing toward the prison in Salisbury, their scouts were foraging through the Mount Pleasant area. One such scout approached the home of Matthias Barrier. When Margaret and her children answered the door, the scout demanded all their valuables. As Margaret resisted and told him to leave, he ripped a brooch from the front of her dress. Suddenly, a shot was fired from a pistol and the Yankee lay dead at their feet. No one in the family would ever say which of the three had killed the soldier. The body was quickly hidden in a wall until darkness when he was buried in the garden. It is said they buried him face down so "he could see Hell coming!" Margaret would lead a sad life after her harrowing experience. William died in the war and Victor in childhood. Matthias willed the home to Rufus with the provision he would provide two rooms for his mother. A year later, she sold her rights to the rooms. Suffering from depression, Margaret would have stays in sanatoriums later in life. She lived to be 84, outliving her husband and all of her children. Margaret and Matthias are both buried in the Holy Trinity Lutheran Church Cemetery in Mount Pleasant. Their home, built in the 1850s, still stands near the intersection of College and Walnut streets. 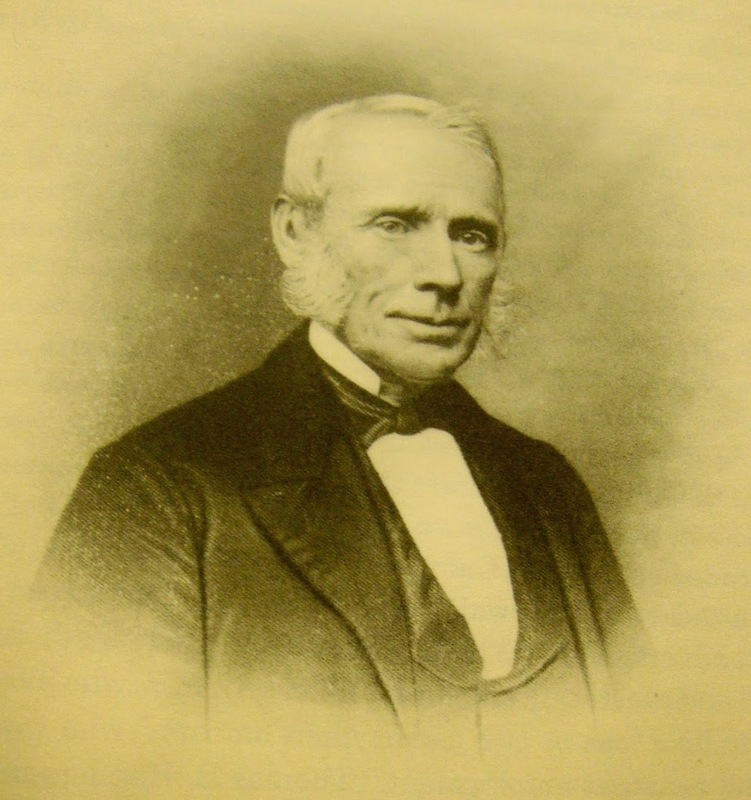 R. W. Allison, first chairman of Cabarrus County Common Schools. Date unknown. Photo courtesy of Findagrave.com, Susan I. Grills. Cabarrus County has a long tradition in education. As our early pioneers built communities, they built churches. These churches provided the foundation for the Revolutionaries who saw education as the path to self-government and independence. Schools and academies during this period were privately supported and generally educated the children of affluent parents. The State Constitution of 1776 directed that "as School or Schools shall be established by the Legislature for the convenient instruction of youth, with such salaries to the Masters paid by the public," but essentially provided only for the establishment of the University of North Carolina in Chapel Hill. A statewide system of public schools was first proposed around 1817. The Education Act passed by the General Assembly in 1939 and revised in 1841 created North Carolina's earliest public school system. The first Superintendents of Common Schools for Cabarrus County met on April 22, 1841. James Young, C. Melchor, John H. Bost, George Barnhart, Henry Blackwelder, R. Kirkpatrick, Michael Freeze, Charles W. Harris and R. W. Allison met in the office of the Clerk of Court and elected Mr. Allison as chairman. It was not until their next meeting in July that the Superintendents began laying out 36 school districts for the county. One of the school registers for Tammany Hall (District 33) in Mount Pleasant has survived. Among the students who, in December 1883 attended the log school located near the present-day site of Mount Pleasant High School were William G. Barringer's children: J. L. Deberry, Willie A., James G. and Ina; Mrs. T. M. Fisher's children: James W., Walter B., Mollie H., Victoria J. and Clifford P.; and Laban Petrea's children: Willie A., Caleb C., Sallie F., and M. Winifred. The children studied spelling, reading, writing, grammar, geography, arithmetic and the alphabet. School opened each morning with the reading of a Bible chapter and the recitation of the Lord's Prayer. Sources on early Cabarrus schools at the Concord Library include minutes of the Superintendents of Common Schools and of the Board of Education, articles in the Concord Telephone Company's Progress magazine and the Tammany Hall register. Now that we have made it past April 15, here is a more pleasant way to think about tax records! As most researchers know, the 1890 census was destroyed by fire. Only three North Carolina townships, two in Gaston County and one in Cleveland County, survived the 1921 fire in the Commerce Department Building in Washington, D. C. Many genealogists have hit a brick wall when confronted with the twenty year gap between the 1880 and 1900 censuses. As a partial substitute for the 1890 census, the Cabarrus County Tax Scroll showing heads of household is better than no list at all. By 1883, the Cabarrus Scroll lists the taxable head of household by name, race and age, if male. It also shows property by acreage, location and value, as well as numerous personal property categories. D. M. Isenhour, white male, aged 55, owns 167 acres, valued at $1275, on Astons Run. He has three mules at $160, 8 cattle at $50, and 9 hogs at $20. Farming utensils and tools are valued at $175 and all other personal property totals $90. Isenhour's county tax is $4.63 and his township tax is $1.04. Mathew Peatrea, white male, aged 77, owns 143 acres, valued at $1000, near St. John's Church. He has one horse at $35, 5 cattle at $30, and 4 hogs at $10. Farming utensils and tools are valued at $115 and all other personal property totals $60. Peatrea's county tax is $3.22 and his township tax is $1.04. Robert McRee is a black male, aged 60. He owns one town lot near Scotia Seminary, valued at $600. He also has 4 hogs at $5.00 and other personal property totaling $50. McRee's county tax is $1.71 and his township tax is 55¢. V. Y. Suther, white male, aged 31, owns one town lot, valued at $100, which is his residence. No location is given. His personal property is valued at $50. Suther's county tax is $1.18 and his township tax is 38¢. Betty White is a black female whose age is not given because women are exempt from poll (or head) taxes. She owns a town lot near Robert McRee, valued at $100. With no other personal property listed, White's county tax is $1.71 and her township tax is 55¢. Cabarrus County Tax Scrolls for 1872-1888, 1890-1895 and 1897-1898, are available on microfilm at the Concord Library, Lore History Room. Unfortunately for Cabarrus County researchers, there are no surviving Cabarrus newspapers before 1855, and very few before 1885. While Rowan and Mecklenburg county papers carry very few marriage and death announcements for Cabarrus people, these sources are still worth the time and effort. April 1848 issues of the Carolina Watchman, published in Salisbury, give four marriages and one obituary with Cabarrus ties. Three of the four marriages are not noted in the recorded marriage bonds, while a fourth gives the bride's surname incorrectly! The obituary is for a Cabarrus resident whose tombstone does not survive and may be the only proof of death. April 20, William S. Harris of Cabarrus, to Elizabeth, daughter of William E. Powe, deceased. The only marriage found in the marriage bonds is that of John A. Shinn to Delilah A., and the bond records her father's name as "Semone", rather than "Lemone" as given in the newspaper notice. The obituary is for Mrs. Rachel Kiser, age 93 years, 11-1/2 months, member of the Baptist Church. Her tombstone is not recorded in know Cabarrus cemetery lists. Ideally, researchers should work with all available records, as in comparing the surname given for Delilah A. Lemone or Semone. When one source is not available, however, another may provide the answer. Microfilm copies of two Rowan County newspapers, the Carolina Watchman (1832-1898) and the Western Carolinian (1820-1842), and three Mecklenburg County newspapers, the Charlotte Journal (1835-1851), the Western Democrat (1853-1871, and the Charlotte Democrat (1875-1883), are available in the Lore History Room at the Concord Library. 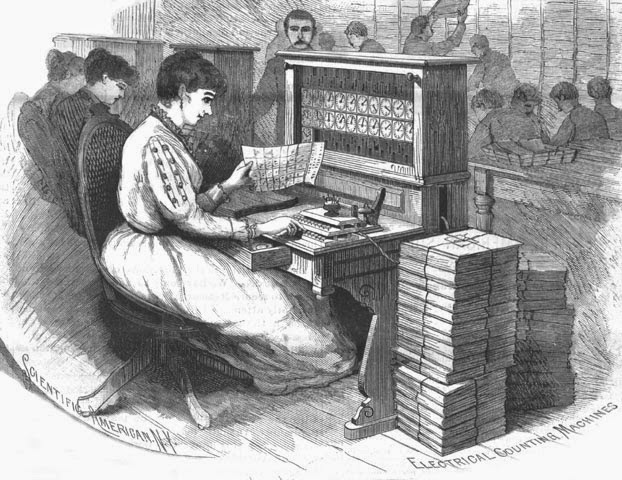 Image courtesy of the State Archives of North Carolina, Digital Newspaper Collection. sickle and scythe,which left the grain lying on the ground. Courtesy of Learn NC, University of NC, Chapel Hill. "Essay of Agriculture," written by William Shakespeare Harris (1815-1875), describes many aspects of early life in Cabarrus County including farming and building techniques, clothing and lifestyle. Here we discuss the primary grain crops grown in Cabarrus County during Harris' day. The earliest grain raised, primarily to provide flour and meal for bread, was corn. The first settlers cleared small patches in which to raise just enough corn for the family's needs. Farmers had little need for oats, since horses and cattle were left to graze among the wooded landscape for food. A farmer rarely fed his livestock, "though some overmuch careful farmer sometimes gave his horse a little corn when he worked or rode him hard." As they cleared the land, farmers began growing wheat and rye. 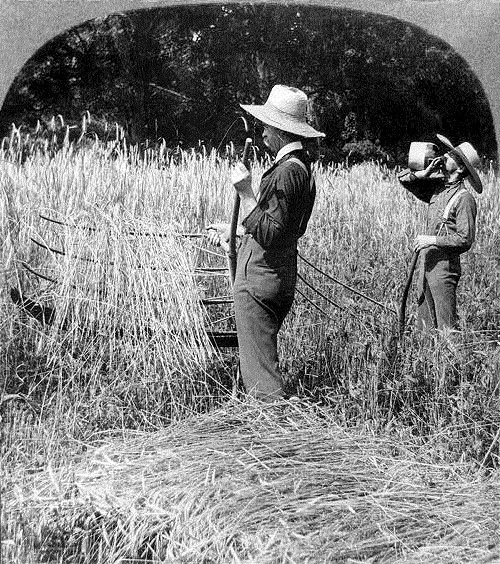 These crops, while supplying the local settlers with additional foodstuffs, also provided surplus for trade in Norfolk, Virginia and Charleston, South Carolina. Most frequently, the rye was converted to whiskey, for ease in transport, and traded coffee, sugar, tea, salt, iron and woolen fabric. "[The barley seed was] dried in a malt house and then put through a process of fermentation from which a most nutritious, but not intoxicating beverage was made. This was the only exhilerating [sic] wine tolerated on wedding occasions, and other frolics of the young people. . . . There are a few places where the ruins of the old malt housed may yet be seen." "To the uniform sobriety which pervaded this primitive community there were no exceptions other than on the Christmas holidays - and then - true to the customs of a Scotch Irish ancestry - there were some men of middle life who would drink enough to make them feel like Tam O'Shanter." In fact, the primary reason these two grains were converted to whiskey was for ease in transport and trade, "having no facility for market - their productions of grain were not portable in any other form." Thanks to William Shakespeare Harris' "Essay on Agriculture," researchers know which grain crops sustained early Cabarrus County settlers and how those crops were used, both at home and in trade. The entire essay is available in the Lore Room at the Concord library. Recently, I was volunteering in the Lore History Room at the Concord Library. A man, who I would guess to be in his 60s, came in and asked for help to solve a mystery that had troubled him his whole life. He was emotional as he told his story and I could tell it disturbed him to his very core. He had been adopted as a baby to parents who had given him a good life, however, was an only child. His adoptive parents were now deceased and neither of them had siblings. Any grandparents or other family members were long gone. As the only one left, he felt alone and disconnected. He explained that he had been desperately trying to find someone - anyone - from his birth family. He needed to know if there were others with whom he was related. State law prohibited him from getting any information from the closed adoption records and he knew absolutely nothing about his birth family. He asked me, and one other researcher in the room that day, if we could offer any ideas of what to do. With few other options, both of us suggested the quickest and easiest way to get information would be to take advantage of DNA technology and get a test kit. Results could then be compared to others and perhaps he would get a hit. Open to the idea, the man left feeling a little more hopeful and was determined to do the test. There are many practical reasons for doing genealogy research, such as tracing inheritance, land records or medical conditions, but for me, as in the case of the gentleman at the library, it's that need to feel connected to others, both past and present. It's hard-wired into our very being. While it is truly exciting to discover and document source information, I'm not content to just add names, dates and facts to my database. I want to know the stories of their lives and the historical context in which they lived. These stories help me to better understand them, and in turn, my own place in history. It helps me feel grounded, invested in my community and in the legacy I leave to my children. 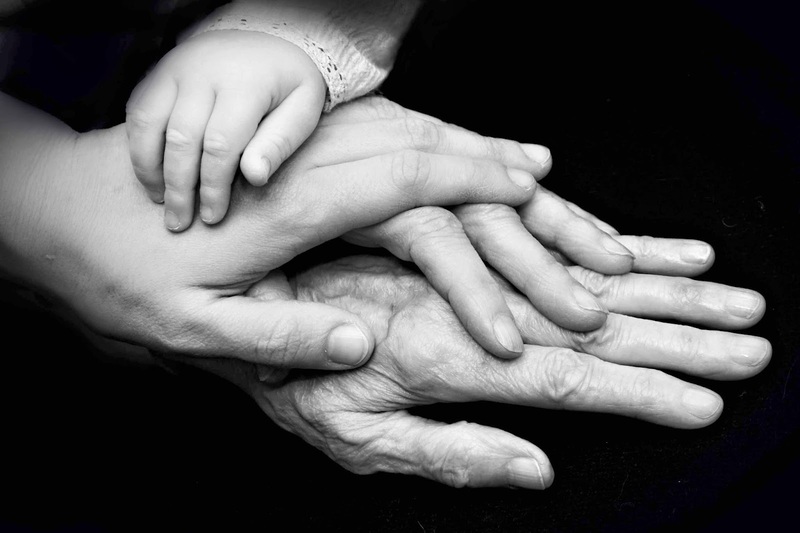 Family history research is a celebration of the gift of life and shows gratitude to those who came before us. Our ancestors’ life energy – both their strengths and struggles – flows through the generations into each of us, as ours will for those yet to come. Genealogy makes history personal. Future blog posts will feature resources and reference material, historical people and events, and stories about everyday life in Cabarrus County. Whether you are a curious amateur or a seasoned genealogy professional, I encourage you to document your heritage, or help someone else with theirs. Submit a copy to your local genealogy repository. The Cabarrus Genealogy Society would be pleased to feature a story in our blog or journal. Contact us at cabarrusgenealogysociety@gmail.com . Don't forget to write your own story - no one knows your life better than you. Leave something for those who may be looking for you in the future!